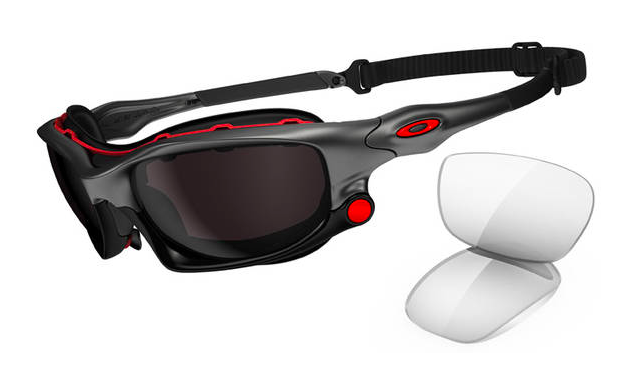 Ducati Wind Jacket SKU# OO9142-03 perfect for motorbiking, prescription lenses capable. Wind Jacket™ is a special rendition of our renowned Split Jacket™ sunglass. We engineered Wind Jacket with snap-in gaskets for a protective seal and added a removable strap for a secure fit. Originally designed with motorcycle riders in mind, the removable gasket minimizes air flow across your eyes at high speeds. Complete with Switchlock™ Technology for quick and easy lens changing, This interchangeable lens design is essential gear for any life with high velocity.